Hundreds of corporate and community volunteers will unite to read with more than 3,500 local students on Wednesday, March 2, commemorating the 19th annual National Read Across America Day. The literacy awareness effort calls for every child in every community to celebrate reading on the birthday of beloved children’s author Dr. Seuss. 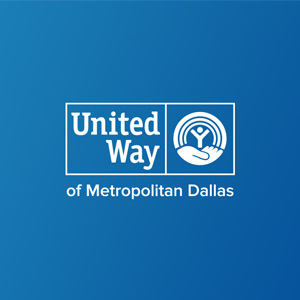 As a part of the Unite for Change community impact series presented by Texas Instruments, United Way of Metropolitan Dallas will host the reading day in classrooms and afterschool programs across North Texas. The effort will unite volunteers from Texas Instruments, Celanese Corporation, Central Market/H-E-B and others from the community to share Dr. Seuss books with elementary students, promoting the joy and importance of reading. At the event’s media site, Dallas Mavericks legend Rolando Blackman will team up with volunteers and educators to serve up Green Eggs and Ham to young students. Wearing a red and white stovepipe hat, the four-time NBA All-Star will join local children’s author Michelle Staubach Grimes to prepare a green eggs and ham breakfast for students at Uplift Heights Preparatory School in Dallas. They will also join volunteers in reading the Dr. Seuss favorite and Grimes’ book Where is Pidge? aloud to students, championing childhood literacy. In addition to Uplift Education sites, volunteers donning Dr. Seuss hats will be reading at locations across North Texas including schools in Dallas ISD, Plano ISD, and Frisco ISD. Volunteers will also read to children in preschool and after school programs operated by ChildCareGroup and Trinity River Mission. ‘Change a Child’s Story’ is a complementary United Way effort to inspire the love of reading. Presented by Central Market/H-E-B, the digital campaign is raising money to provide books to thousands of local children who desperately need them. A $5 donation can put a book into the hands of a child who does not have one. The effort also encourages adults to pledge to read to children in their lives, while generating awareness about the critical role books play in a child’s education. Change a Child’s Story is supported by the nonprofit First Book and featured book sponsor Michelle Staubach Grimes. Salesforce.org will donate $1 for every like, follow or share via social media. Without the necessary verbal, literacy and comprehension skills that reading provides during their early years, starting and staying behind in school can be the inevitable result. Sadly, two-thirds of America’s children living in poverty have no books at home, and the number of families living in poverty continues to rise. Given the 38 percent child poverty rate in Dallas, thousands of local children don’t own one single book and are not read to regularly. With help from corporate and community partners, United Way is working to help rewrite these children’s stories and give them the happily ever after they deserve. With TI as the presenting sponsor, the Unite for Change community impact series consists of six area wide volunteer events focused on improving education, financial stability and health across North Texas. Unite for Change was created to engage many local corporate partners in meaningful volunteer projects over a six-month period. The projects will help reach United Way’s 10-year community goals: preparing at least 60 percent of all kids to graduate ready to succeed, moving 250,000 people out of poverty permanently, and improving health across the region. About Unite for Change: Unite for Change is a six-event area-wide Community Impact Series presented by Texas Instruments. The series engages effective local service providers who create real opportunities and get results through programs designed to help us reach our 10-year community goals: preparing at least 60 percent of all kids to graduate ready to succeed, moving 250,000 people out of poverty permanently, and improving health across the region. Employees from current and prospective corporate partners will engage in relevant, rewarding and innovative volunteer opportunities, leveraging their collective power to address community challenges in education, financial stability, and health.